Lisa Seebach (born 1981 in Cologne, lives in Braunschweig) studied free art from 2007 to 2013 with the professors Corinna Schnitt and Candice Breitz as well as with Prof. Raimund Kummer, with whom she graduated. In 2014 she completed her master studies with Prof. Thomas Rentmeister. The artist has already received numerous prizes and scholarships, including this year’s Friedrich Voremberge Scholarship from the City of Cologne and the Förderpreis Bildende Kunst des Landes Brandenburg. 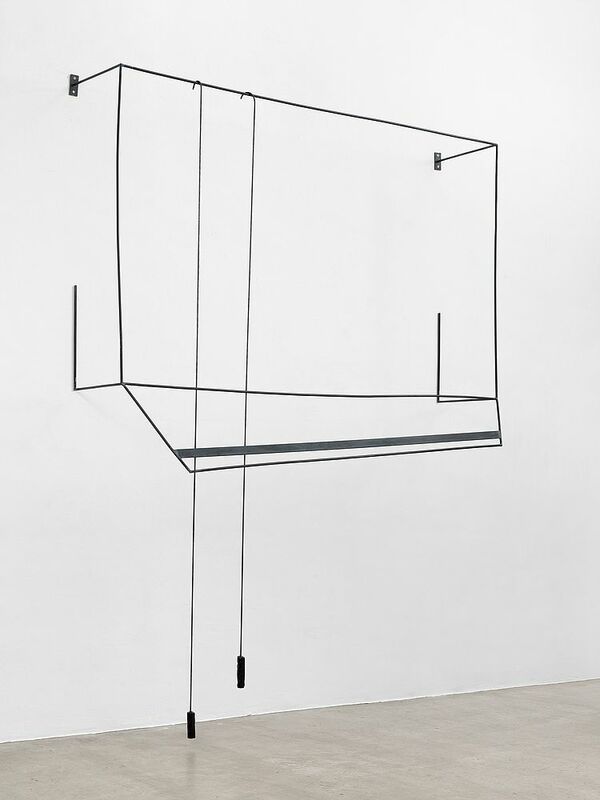 Lisa Seebach works in the media of sculpture and installation. In her sculptural works, she translates the factual into fragile constructions of line, mass and weight. In the field of tension between steel lines describing spaces and earthy ceramic elements, the sculptures tell of places and moments, of encounters and situations. While in some works the physicality of man becomes painfully perceptible through his absence in Lisa Seebach’s material world, other sculptures bear witness to figures in different forms of existence. Through the masterly spatial arrangement of her abstract protagonists, the sculptor develops a great narrative of unstable conditions. The exhibition with works by Lisa Seebach is being created in cooperation with the Kunstverein Braunschweig and presents works created during the artist’s twelve-month stay in New York, as a joint award from the Ministry of Science and Culture and the Lower Saxony Sparkassenstiftung has made this possible for her.